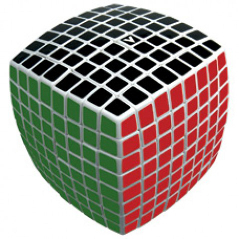 V-CUBE 8 is the unique 8-layered cube that will challenge and improve your intellectual abilities. You will need to discover intelligent strategies, tricky combinations and sophisticated techniques, in order to solve this masterpiece! This product was added to our catalog on 28.04.2015.